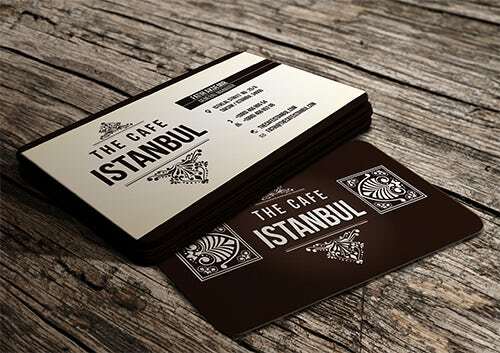 Cafes are not just “eat and go” places rather they are the points where people spend time with each other in chit chatting, joking and enjoying the togetherness. 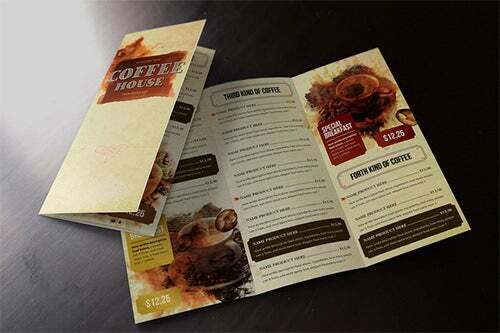 When such lively people come to your café then, why do not you present your menu template in their way? 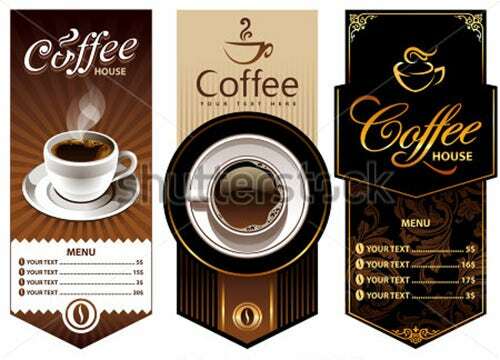 It will certainly make your customers more comfortable in choosing their own snacks and drinks. 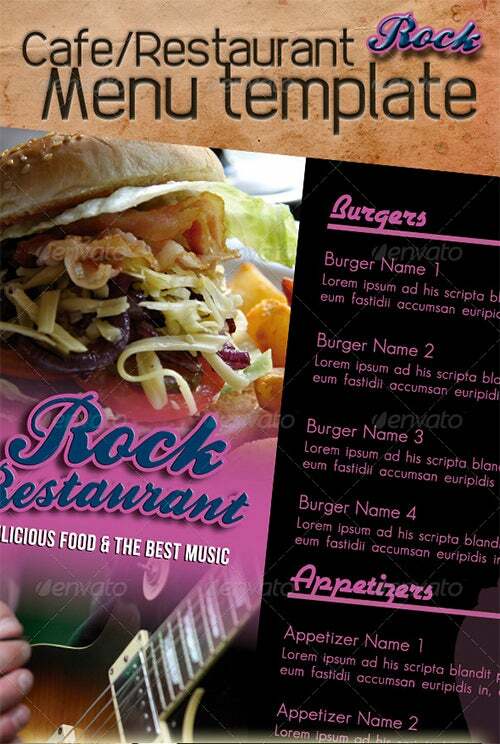 Buy Now This Word cafe menu tri fold template PSD editable download comes in a wonderful light brown color with a picture of a burger and fried steak. 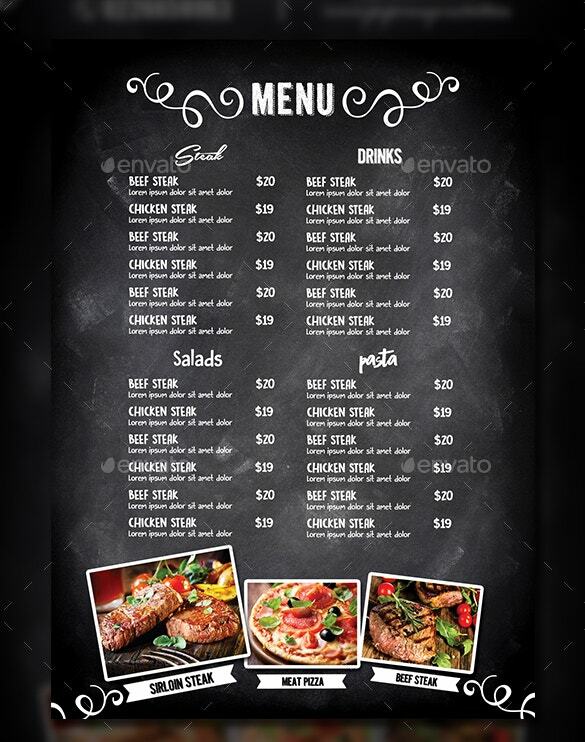 This menu will help you serve your customers well. 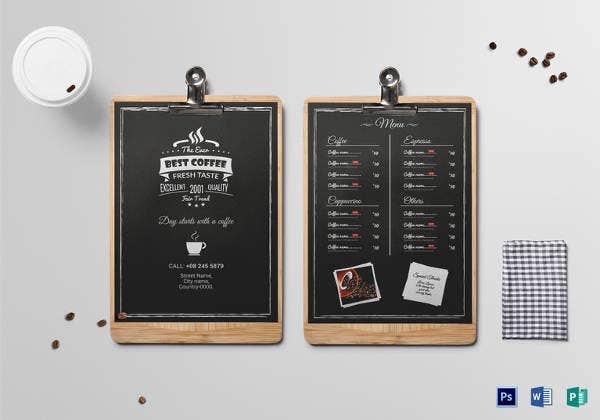 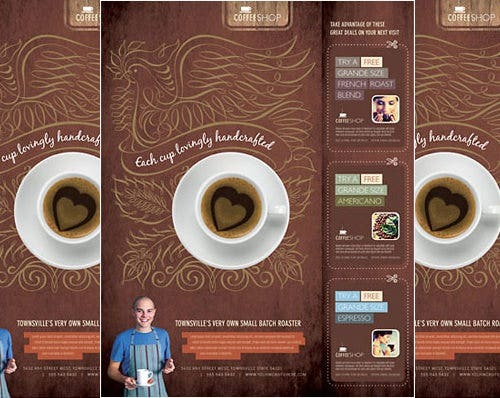 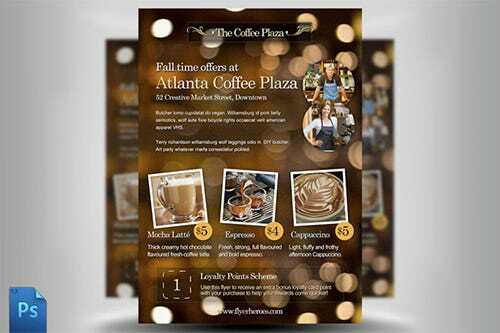 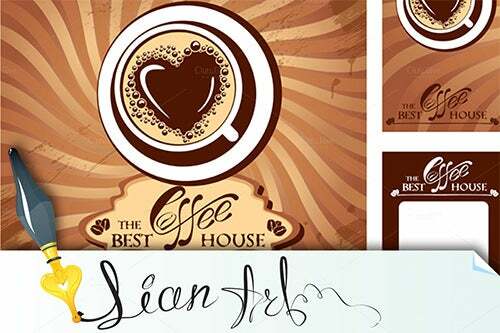 Buy Now You can also see Coffee / Cafe Menu Templates. 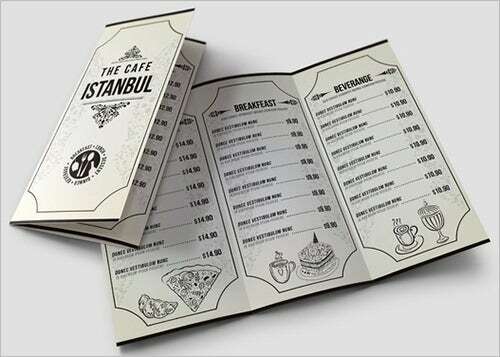 Here, we come up with a very useful tool “café menu template”, which will help you in designing your café menu in your own style. 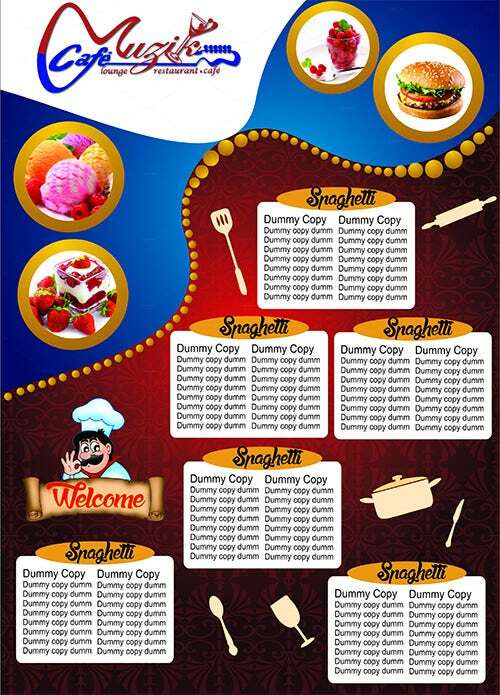 People will enjoy ordering from such an organized and creative menu. 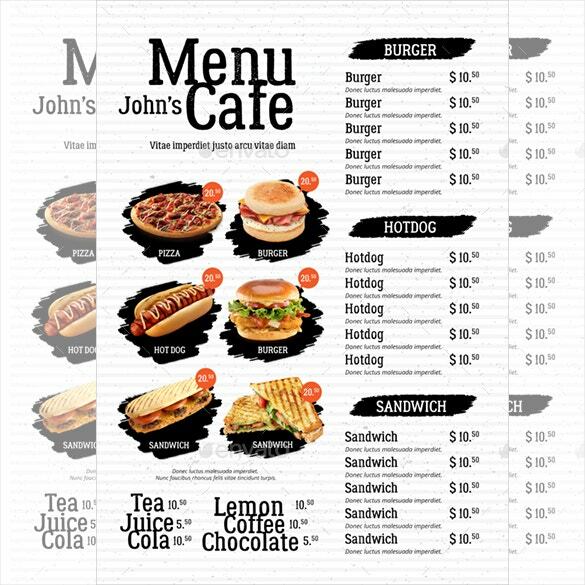 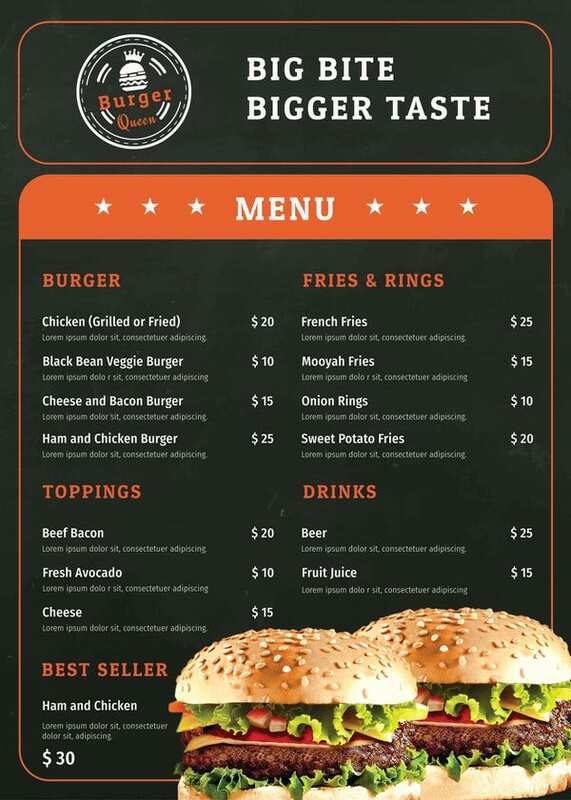 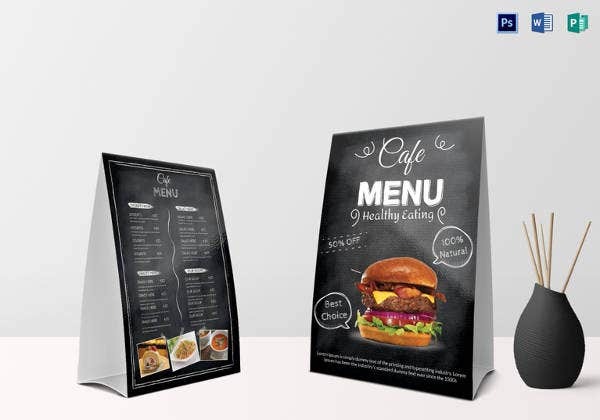 This PDF burger café menu template has images of a pizza, burger, hotdog and sandwich on the front page. 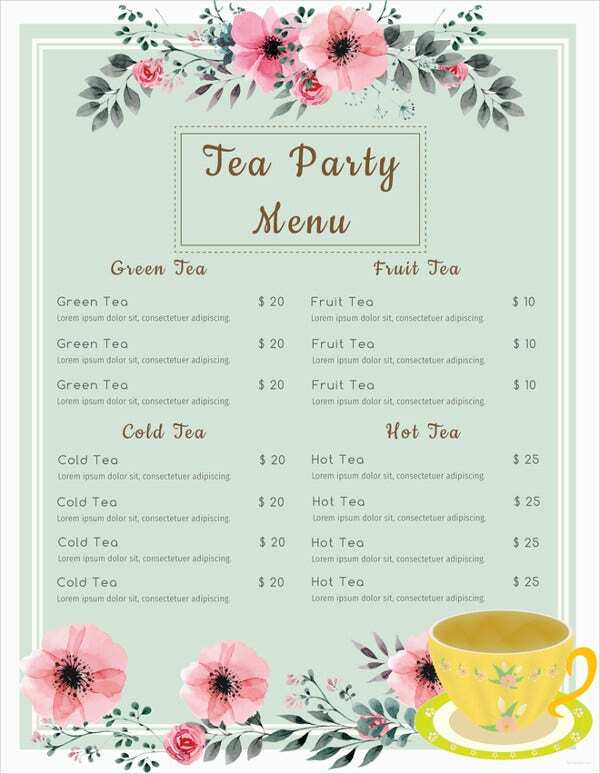 The menu also shows the drinks offered on the bottom of the page. 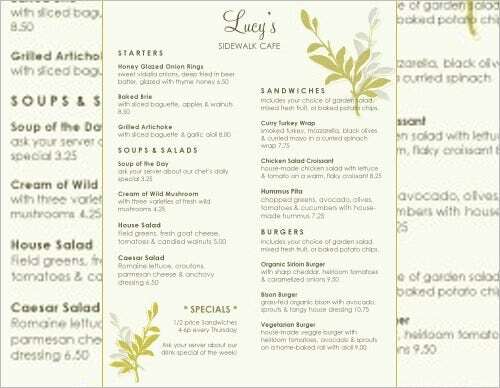 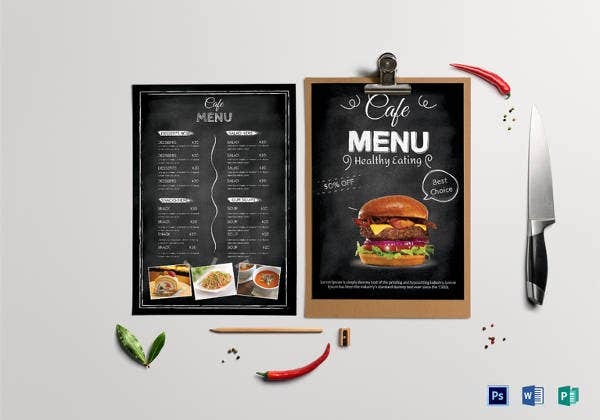 This Word custom café menu chalkboard style menu will give your menu that simple outlook making it easier for your dinners to choose easily. 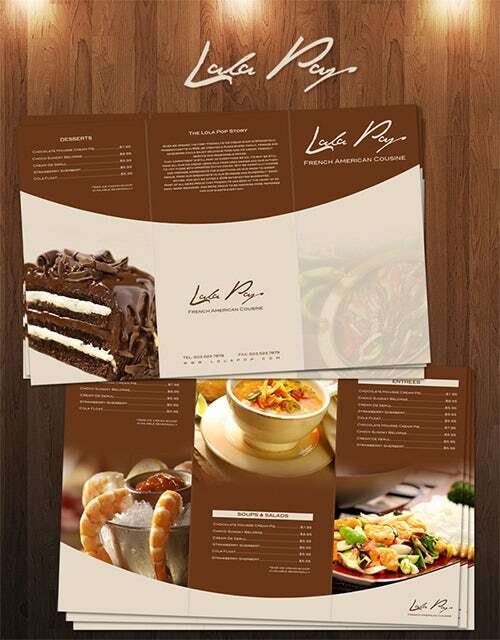 To get hold of this menu you can download it. 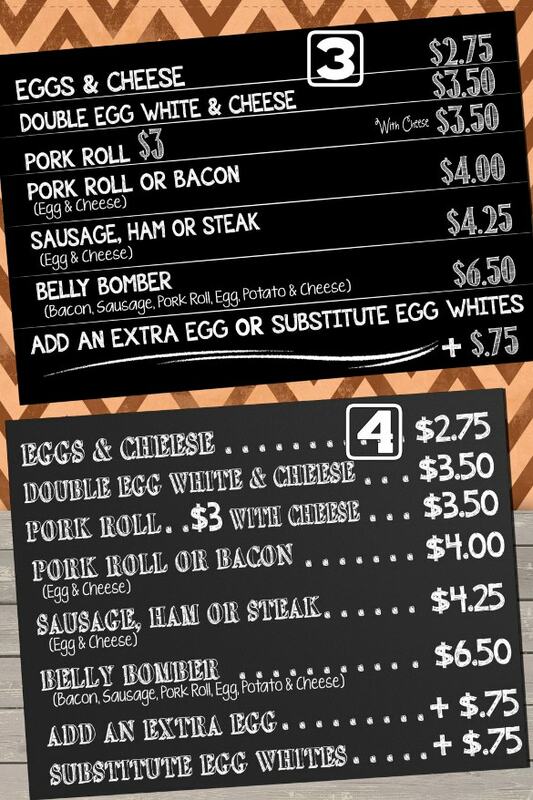 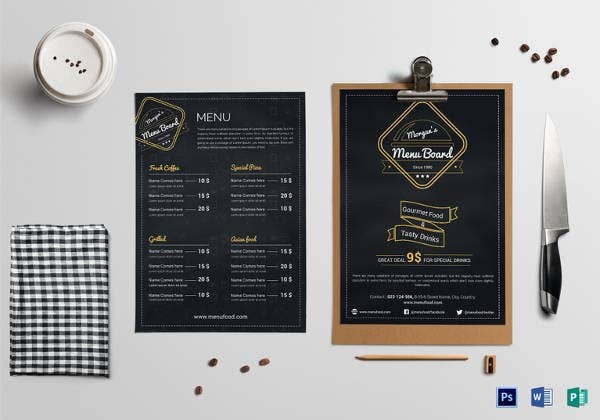 This Excel format chalkboard café menu template gives your customers the idea of what you have to offer and what they can eat. 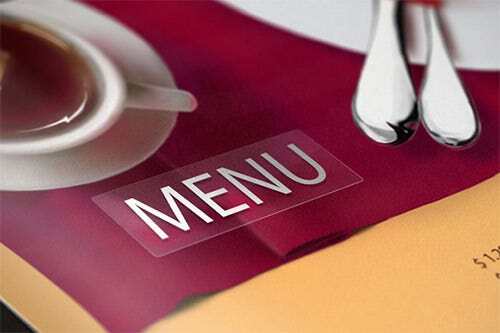 The menu is just a download away from you. 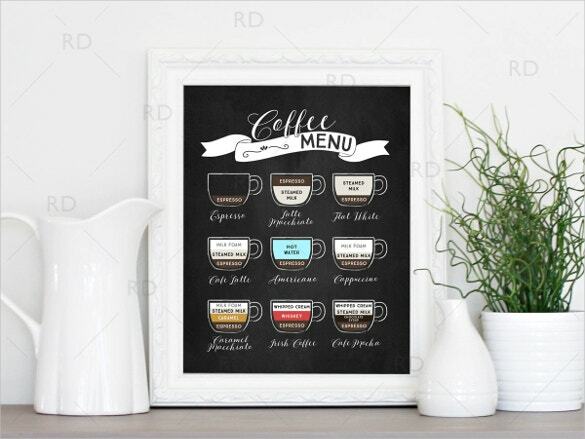 This PDF coffee menu wall art template printable download is an elegant menu to use for a coffee shop and restaurant. 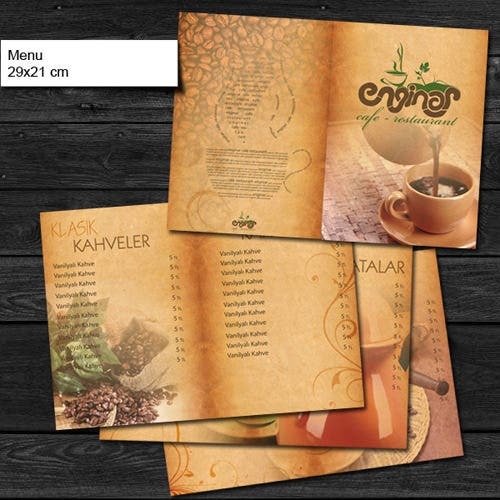 The menu has images of the coffee offered and their ingredients. 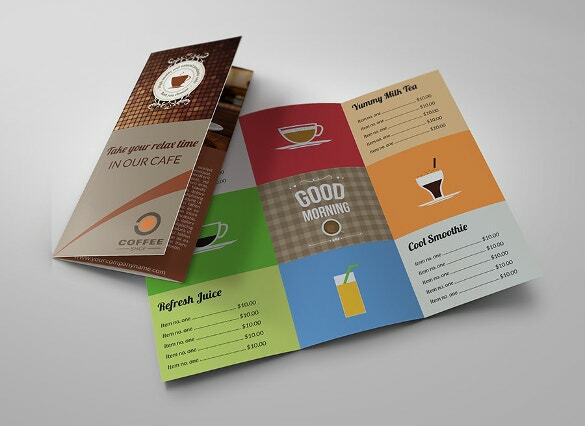 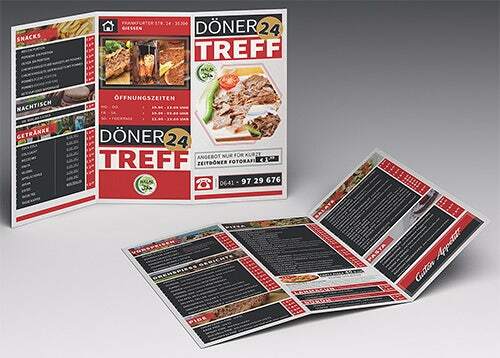 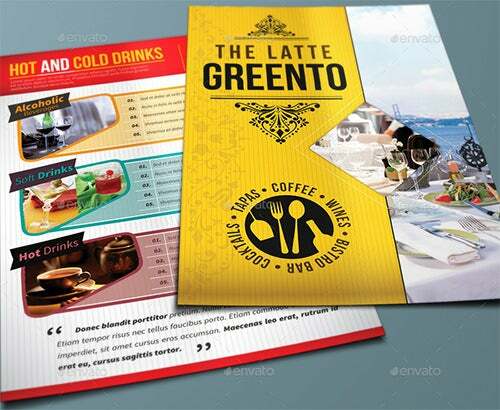 This Excel format café tri fold brochure menu template comes in multiple colors and images of drinks in glasses. 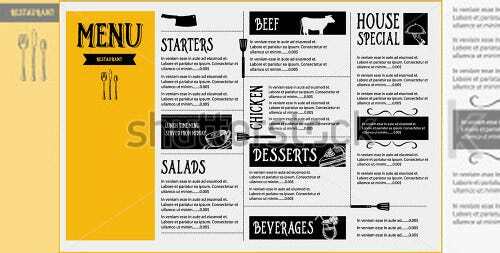 This menu will help you come up with a fantastic menu of your own. 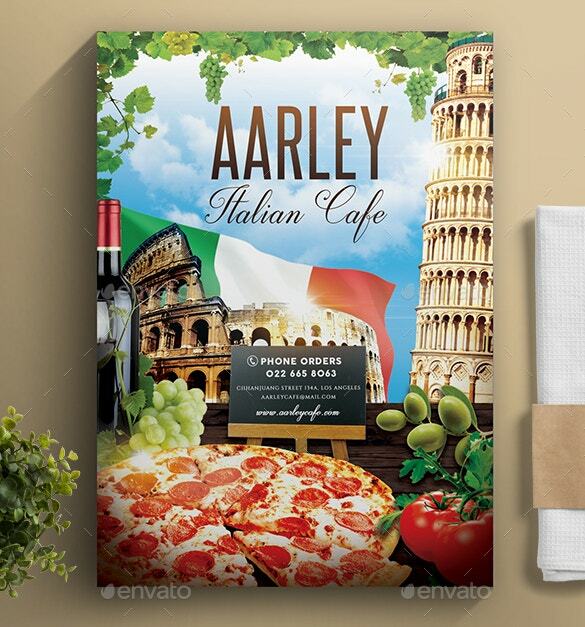 This Word best design of Italian café menu template has an Italian flag and monuments found in Italy. 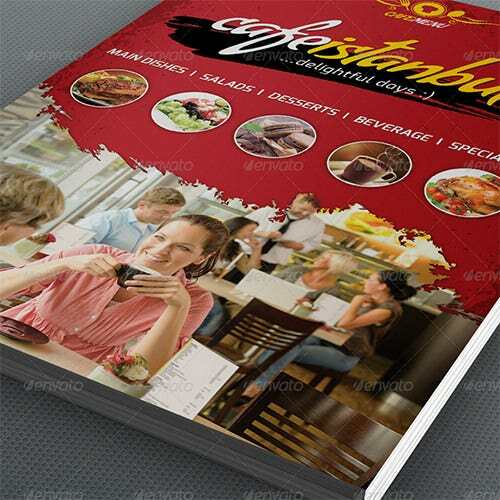 The menus design also has a pizza and fruits on the cover. 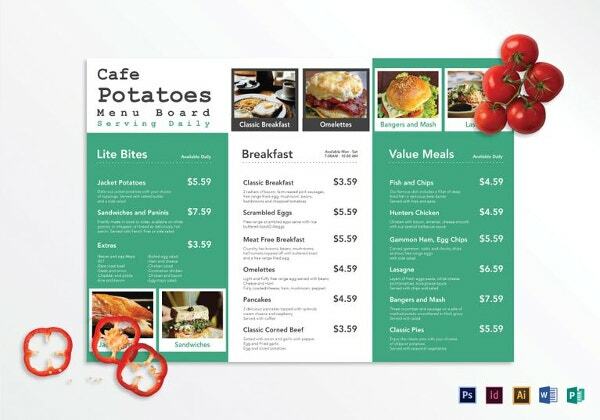 This Excel format café menu card template has images of fruits, burger and ice cream on it. 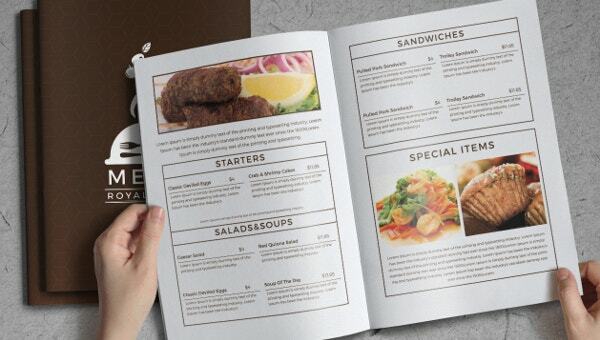 The menu also has a designed space for the actual menu in a stylish way. 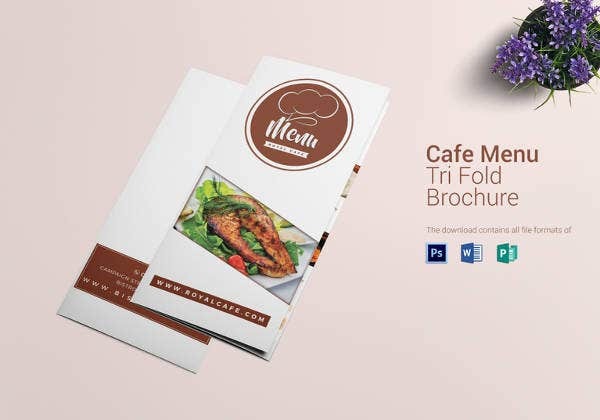 This PDF restaurant and café menu template comes with a golden cover with the food items in columns with different bright colors with the prices on each item. 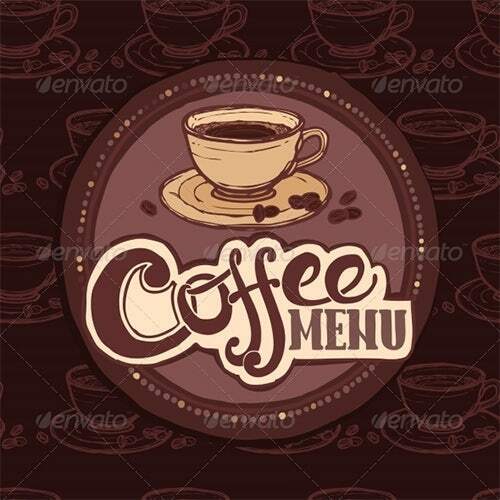 You can download it here for use. 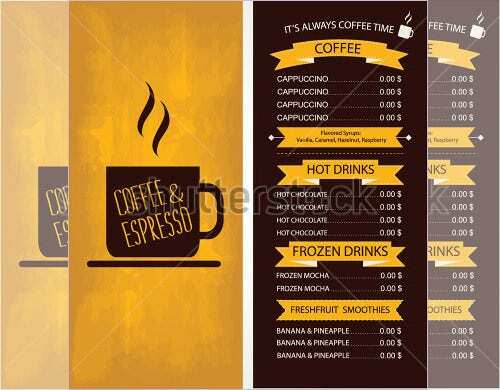 The café owners, café managers and any decision taking authorities of cafes can use this template. 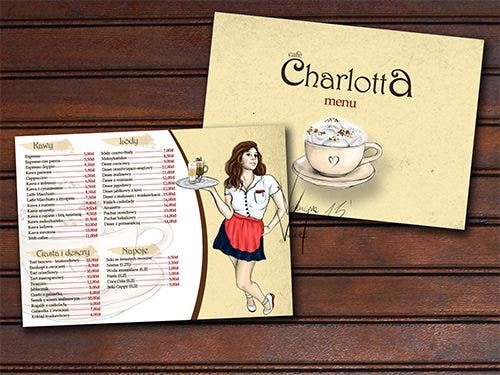 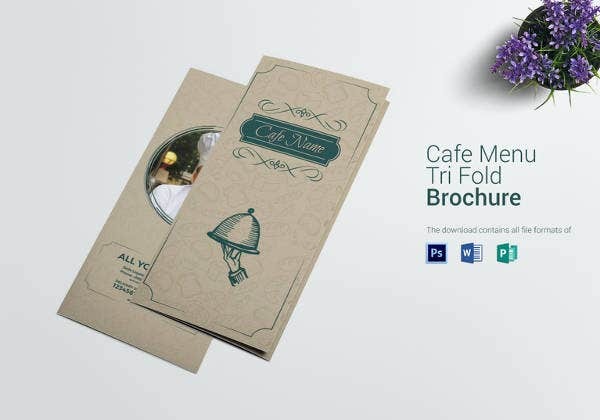 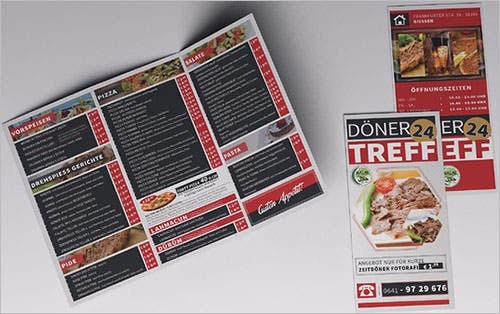 The café menu template is available easily online and assists you in a most effective manner in designing your menu café menu. 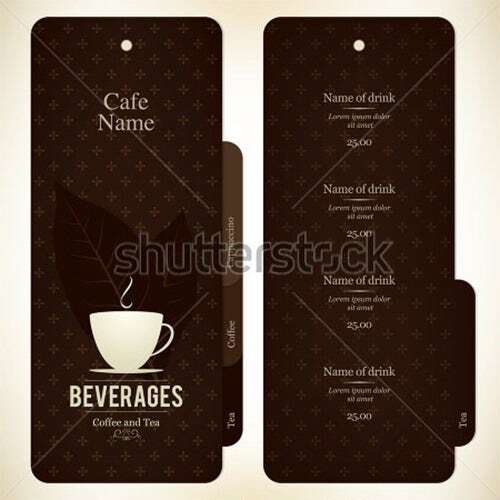 The template has got number of designs and color options. 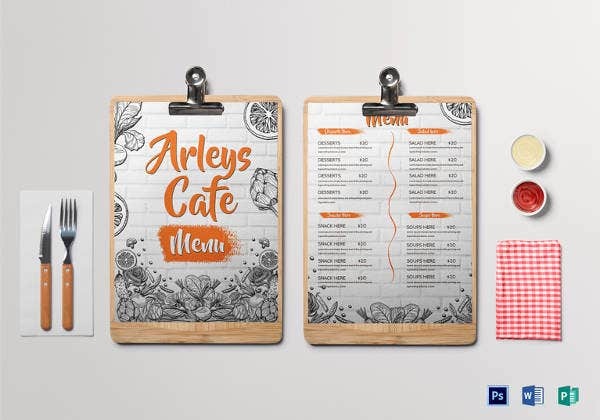 You can choose anyone as per the ambience of your cafe.The café menu template is a self-contained and organized tool for your café. 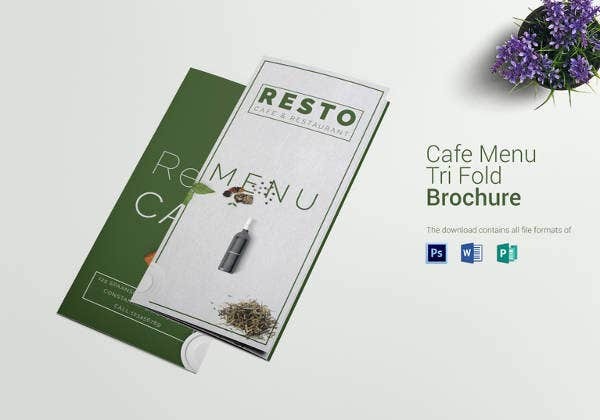 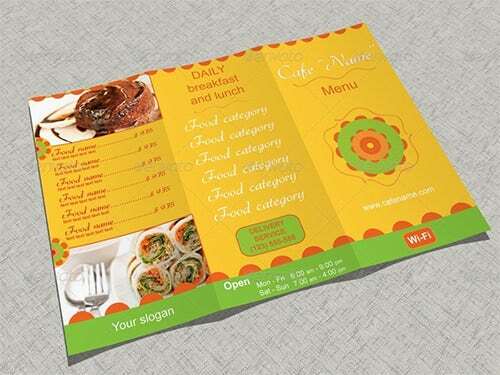 Try these Menu Templates out in fascinating your café visitors. 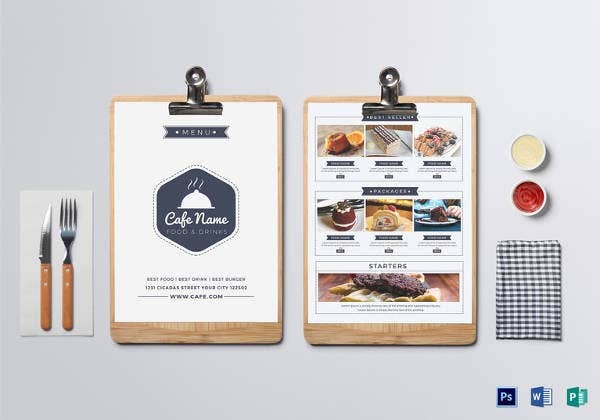 They will admire your service and organizing abilities because the template will keep them busy in ordering, looking at the design, talking about it and spending more time with each other.